Eastern Washington is an area where there are many miles of open spaces that residents can enjoy the quiet life of living in a rural area but close enough to be able to enjoy everything that a larger city has to offer. This is an area where there are small towns and suburbs but the bulk of residents often travel to Spokane for work and activities. Mead, Washington is one of these suburbs. With a population of just over 7000 residents as of the 2010 census, it offers a quite place to call home with the city of Spokane only about 10 miles away. When you contact a qualified and experienced Mead real estate agent be sure to contact Nancy Wynia so she can start your search for the perfect piece of Mead property that will fit the needs of you and your family. The biggest employer in Mead is Cyan Worlds, a top name video game developer. One of the biggest attractions to Mead is that it is truly a small suburb of Spokane. Since it is just 10 miles outside of the 2nd largest city in Washington, potential Mead homebuyers can enjoy all that Spokane has to offer, without living in the city. Here, you will find various concerts and venues at places like Northern Quest Casino and Resort and the Gorge Amphitheater in George, Washington. If concerts and casinos are not your thing, then you will enjoy the shopping and 5 star restaurants that are found all over the city or any of the indoor or outdoor rodeo or livestock shows that are a staple in this farm and ranch area. Kids and adults enjoy a Northwest favorite that is within a couple hours of Spokane: Silverwood Theme Park. Here you will find top rated roller coasters, water slides, shows and events. While it is not open year round, the summer time is filled with fun times. In the fall, older kids and adults enjoy Scarywood, where the entire theme park is transformed into a giant haunted house complete with roller coasters and other spooky rides. The wintertime is enjoyed by all as well with various ski resorts around the Spokane and Western Idaho areas. Mead, Washington is that perfect place where you can enjoy the simple life while enjoying everything that the city has to offer. Here you will find joy in the simple things like the quiet of the suburbs combined with the high quality education that is found in most big cities. If you have been looking for a place to call home where you don’t have to give up the excitement of the city for the peace and quiet of the small town, contact Nancy Wynia today so she can get you into the property that you thought was in the future, today. The Mead school district offers a high-end education where families want to send their kids, as a result, there are 10,000 students in 15 different schools in Spokane and Mead. The district offers various programs based on the needs of the students. There are many athletic opportunities for those who excel in sports, there are band and choir programs so students can enhance their fine arts talents, and they offer Riverside Academy, a school designated STEM academy where students who want to excel in science and technology can enjoy an education that will help them on the right track to a prosperous career. They also offer an alternative high school for students who need something other than a traditional high school setting to complete their diploma. For more information on the school district and their offerings, go to their website here. Once completed with high school, students in the Mead school district typically enjoy a higher education that is close to home. Schools like Eastern Washington University, Washington State University and a number of quality community colleges are within a couple of hours away from Mead, allowing you to keep your kids close enough to visit but far enough to explore their independence. For those students who are high achievers in science, the University of Washington in Seattle is a top school in the country in research and medicine; this school is considered in state for tuition and is about a 6-hour drive from Mead. Since Mead is a suburb of Spokane, kids and adults enjoy all that the Spokane Parks and Recreation has to offer including little league teams and adult co-rec teams in an array of sports from football to baseball and everything in between. There are also many parks, rec centers and open spaces that are maintained by the parks and rec department for the enjoyment of residents. Most of the small towns in Eastern Washington have been incorporated in the last 20 years, during the exponential growth of the area but Mead is not one of those cities. 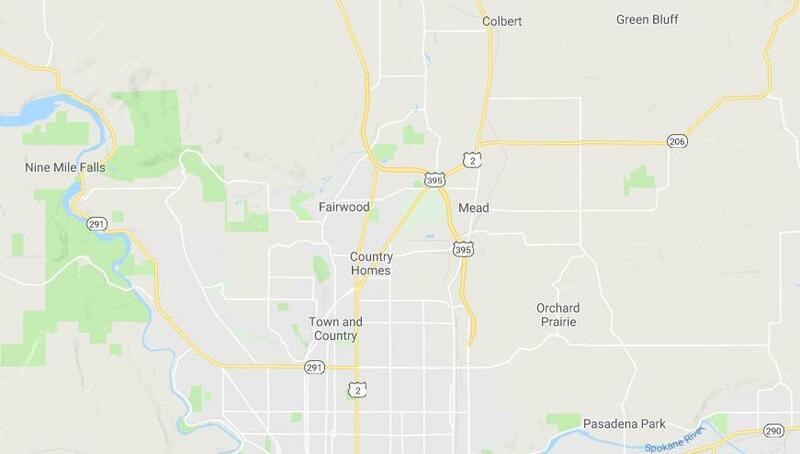 In fact, Mead was founded in the early 1900's where it was the 2nd stop on the Spokane Falls railway making it a hotspot for new business and homes. In the first years, Mead was home to a blacksmith shop as well as the Cushing and Bryant General Store. There was also a Methodist church where residents would enjoy Sunday services and Sunday school, and a public school that taught on average 60 students who lived in and around the town. The town of Mead was named after the infamous Civil War General, George Mead. Today, those who live in and around the town can enjoy learning about the history of this early Eastern Washington town.